On this page we keep you informed about new products and services from Woodlands. Welcome to the Woodlands Yorkshire website. Many of our regular customers know that we supply beer gas to the licensed trade. 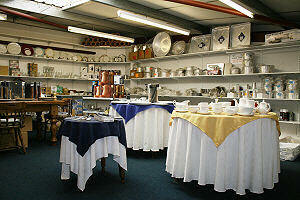 We also supply a complete range of catering equipment and accessories. This site will develop to show a selection of items available from stock or to order. Our showroom is open, from 9am to 5pm, Monday to Friday, with a wide selection of products on display on two floors. Our staff are always on hand to help. From specialised catering equipment to tableware, glassware and janitorial sundries, we are the one-stop source for licencees and professional caterers. We often have products on SPECIAL OFFER: discontinued lines, bulk purchases etc.